Your Dental Practice has specific waste disposal needs. At Direct365, we’re experienced in dealing with 300+ Dentists and can provide you with all necessary Waste Management services at the best price. Unsanitary, hazardous or potentially harmful waste – such as dental sharps, teeth, dressings and amalgam products – must be disposed of with due care, in line with waste disposal laws. Avoid the fines, avoid the hassle and avoid the big price tag by choosing Direct365 – one of the UK's leading waste collection service providers. We make staying compliant easy by providing you with legal paperwork, correct bins and collections to suit you. Let us support your business by keeping your costs down and call us for an instant quote. 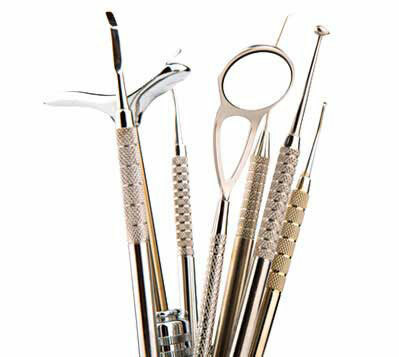 Dental practices produce all kinds of waste items from specialist tools and equipment to sterilising chemicals and used swabs. Our services cover the whole spectrum of dentist waste, but it is important to know that some dental waste is classified as hazardous by the government and must be disposed of in compliance with UK legislation. Hazardous waste can be harmful to the environment and dangerous to your staff and customers if it is not disposed of correctly. Call us today for more information about how we can safely remove all of your dental waste in full accordance with UK law. In 2005 the government released The Hazardous Waste Regulations which state that dentist waste including needles and amalgam items are classified as hazardous waste, requiring a European Waste Catalogue (EWC) code and proper storage. If your dental practice does not comply with the regulations when disposing of hazardous waste then you could put your customers and staff in danger, and even face fines of up to £5000 from the government. We have years of experience in removing hazardous dental waste like amalgam and sharps, so you can be confident that your dentist waste is removed safely and in full compliance with all UK legislation. Use our expert dental waste service to protect your business and rest assured that your waste is being handled in accordance with UK law. As dental practices produce significant quantities of hazardous waste, they are required by law to act with a duty of care when it comes to disposing of their waste. This means that hazardous waste must be segregated from non-hazardous waste and stored in correctly marked, secure containers. Each consignment note will also require your business’ registration number from the Environmental Health Agency, but if you aren’t registered we can help with that too. Use our dental waste collection service and we can help get your dental office fully registered with the Environmental Agency to ensure that your waste collection runs smoothly and in compliance with UK law. We are here to support dental practices not only through the range of professional waste removal services that we offer, but also by providing reliable, expert information and resources to dentists owners across the country.